The Women, Peace and Security Index, introduced in 2017 by the Georgetown Institute for Women, Peace and Security (GIWPS) and the Peace Research Institute Oslo (PRIO), is the first index to combine insights from gender and development indices with those from peace and security indices. 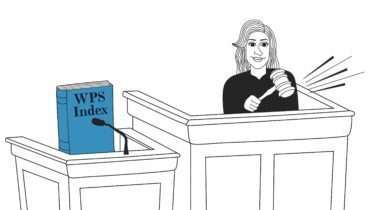 The WPS Index aims to measure women’s wellbeing more comprehensively by covering the dimensions of women’s inclusion, justice and security. The security dimension includes measures of violence and insecurity at three levels: in the family, community, and society. In this note, we are especially interested in the security dimension at the society level. The WPS Index currently measures societal conflict using data from the Uppsala Conflict Data Program (UCDP) on the number of total deaths that result from organized violence episodes. Yet, as recently pointed out by Anna Applebaum and Briana Mawby in the context of El Salvador, high levels of gang violence may effectively be a new form of war. We explore how the inclusion of gang-related violence affects the ranking in our WPS Index. 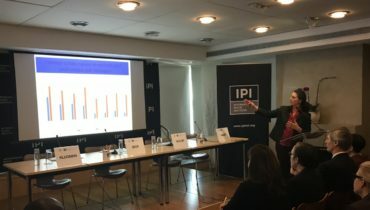 We examine an extension to the measure of conflict from the UCDP—currently the most comprehensive measure of organized violence—by including the number of deaths associated with gang violence alongside “battle deaths.” We apply this to the security dimension of the WPS Index, and calculate index rankings for a set of four Central American countries and Mexico. Although not explicit in its definition, we have been advised by the UCDP that non-state violence – which is defined by UCDP as the use of armed force between two organized armed groups, neither of which is the government of a state, which results in at least 25 battle-related deaths in a year – includes gang violence. However, this raises practical difficulties – not least that the UCDP classification requires there to be two armed groups (so that gang violence affecting civilians is excluded, for example). It also requires identifiable actors, and that for every actor the number of deaths needs to pass the threshold of 25 to be included. It can be well argued that this type of violence should be taken into account. The disruption of daily life due to widespread gang violence is increasingly similar to experiences and impacts of war, including limited freedom of movement and large civilian casualties. Gangs, and the violence associated with their activities, are widespread in Central America and Mexico. Institutional weaknesses of Latin American countries, police corruption, and overpopulated prisons have contributed to a vicious circle of escalating violence in the region, and among the highest homicide rates in the world. Moreover, military force is increasingly used to combat gangs, and many gangs have gained a level of political organization that strains and challenges the legitimacy of the state. A key reason for not systematically including deaths linked to gangs is that the data tends to be scarce. There is also disagreement about the exact figures for gang deaths, with governments sometimes providing a different picture than alternate sources. As noted above, there are reasons to expect that gang violence would be under-reported in the organized violence measure. Indeed, the UCDP measure for El Salvador reports zero non-state conflicts for the entire period since 1989 – despite this country being widely recognized as seriously affected by gang violence. In the table below, we show the number of non-state violent episodes for the five countries analyzed in this note, according to the UCDP. It shows that the number of violent episodes involving two organized armed groups is recorded at zero in each case, with the exception of Mexico, where we hypothesize non-state violence is related to drug cartels. The analysis here draws on data from InSight Crime, a foundation dedicated to the study of organized violence in Latin America, for El Salvador, Honduras, Guatemala, and Mexico. For Nicaragua, we use statistics on gang violence from Zinecker (2012). Building on data on the number of gang related deaths, we generate an adjusted measure of organized violence by adding the number of homicides attributed to gang members to the organized violence measure used in the construction of the WPS Index. We apply this extension to all five countries. It is notable that, prior to the adjustment, El Salvador, Honduras, and Guatemala had recorded levels of organized violence at zero. Source: Authors’ elaboration based on GIWPS and PRIO (2017), InSight Crime (www.insightcrime.org), Zinecker (2012), and World Development Indicators. Notes: The organized violence measures indicate the number of deaths per 100,000 persons in each country. The organized violence measure before including gang-related deaths correspond to the 2010-2015 period. Gang related deaths data cover years 2015 and 2017 in El Salvador, 2015 in Honduras, 2012-2015 in Guatemala, 2015-2017 in Mexico, and 2002 and 2007 in Nicaragua. *We only impute data from one state in Mexico. Our next step is to use the adjusted organized violence measure to recalculate the value of the overall WPS Index. We restrict the exercise to the countries for which we have reliable data on gang violence. What difference does gang violence make to WPS Index estimates? As expected, the gang-related deaths reduce the value of the WPS Index, meaning a worse performance. This reduction is particularly marked in El Salvador, where the WPS Index drops by nearly one-fourth (23 percent), followed by Guatemala, with a decline of 13 percent. The worsening in Honduras, Nicaragua, and Mexico is of the order of 9 percent, 8 percent, and 5 percent, respectively. The major impact on El Salvador’s performance is not surprising, because the country has the second-highest rate of violent death in the world, after Syria, in part due to gang violence and the state’s response. It should be noted that the limited impact on Mexico’s performance is likely due to the fact that we impute data for only one state, and gang-related violence has been high in other parts of the country, including the states of Baja California and Tamaulipas. The inclusion of gang-related violence affects the ranking in the WPS Index. The re-ranking reflects the differential intensity of gang-related violence across countries. El Salvador drops to last place, with the lowest WPS Index of the group, while Honduras and Guatemala improve their relative position despite a lower score than before. This is due to the relatively large decline in the value of the WPS Index in El Salvador once we account for gang violence. The reported changes in the WPS Index also have implications in the countries’ global rankings. While the exercise is merely illustrative, it is notable that El Salvador loses 67 positions and plummets from 77th to close to the bottom, ranking 144th out of 153 countries. Honduras, Guatemala, and Nicaragua lose 31, 32, and 44 places, respectively. Mexico drops 22 places. Note that, due to data constraints, we keep the original values for the rest of the countries. It is well known that gang violence is a pervasive feature of people’s lives in much of Central America and Mexico. Yet conventional measures of conflict and well-being appear to struggle to capture to this phenomenon. This note has exposed and illustrated how much impact gang violence has on our assessments of national achievements. It would be useful to extend the analysis more systematically across the Latin American region. For example, Venezuela also experiences high levels of gang violence, but reliable data was unavailable. Even if data is scarce, it is important to consider the implications of gang violence for the WPS agenda. Broadening the women, peace, and security field to encompass the challenges posed by high levels of gang violence allows for new perspectives about the role of women in violence prevention and peacebuilding, among others, to come to the fore.